To Love and to Drink: When in Quebec! The Saint Alexandre pub in Quebec City seemed the perfect place to sit by the window and watch the St. Patrick's day parade! 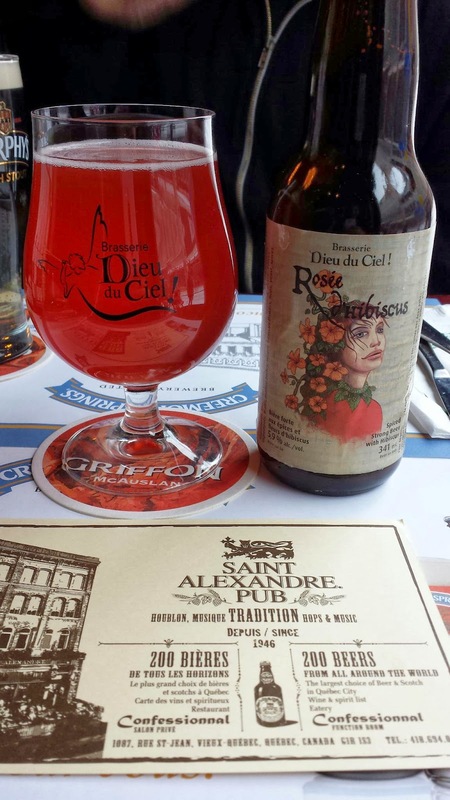 I had to go with a Quebec Dieu du Ciel, and chose the Rosée d'Hibiscus 5.9% strong spiced beer. The server explained it best when she said this beer gives you a tingling in your cheeks! It's a bit bitter, has a familiar Dieu du Ciel flavor, and is a beautiful pink color from the hibiscus. It's definitely something to try but not a session beer. That familiar taste is potentially from the ttype of barley or the wheat. 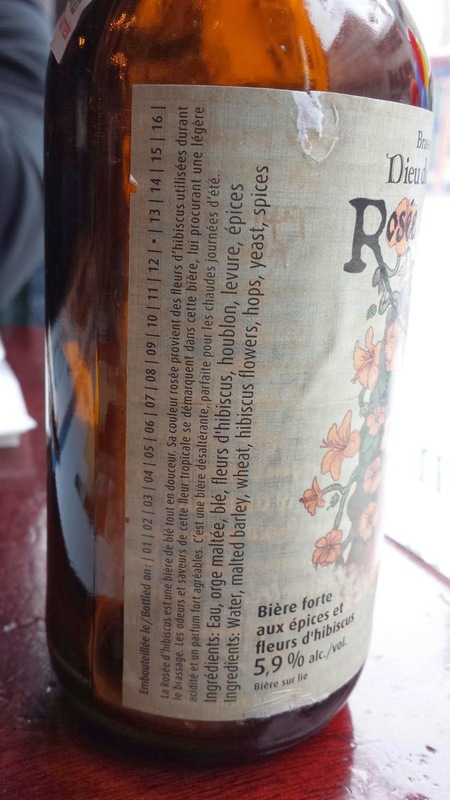 After a few sips, the Rosée d'Hibiscus tastes very similar to the Blanche de Chambly with a small floral finish. If you like Campari, you'd like this beer.